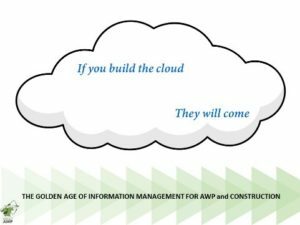 While the idea of building work packages is quite simple, the application of processes that manifest into work packages is very complex. As an industry, it has taken us almost 15 years to move from the simple concept of work packages for the Foremen to the very complex details of Advanced Work Packaging. The full spectrum of details on how to apply the different elements of AWP forms a labyrinth of processes that touch almost every facet of a project. Therefore, it is important that we approach the transfer of this knowledge in an organized manner that progressively elaborates the big picture into bite-sized pieces, leaving you with a clear understanding of what you have to do on Monday morning and why you are doing it. A good place to start this journey of enlightenment is the YouTube videos. This series of 3-minute videos will give you an overview of Why, What, How and Who. 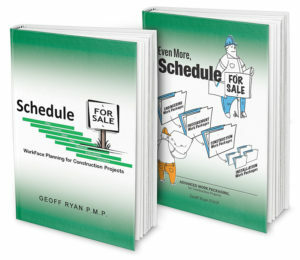 If that whets your appetite for more detail then the books, “Schedule for Sale” and “Even More Schedule for Sale” can elaborate those ideas into processes and provide a roadmap of where to start and who does what. However, before you put those plans into action I would also recommend some classroom training where some hands-on experience will allow you to put some meat on your plans. While we do lots of presentations and provide resources to help you learn advanced work packaging, we do like to leave classroom training up to the professionals. Insight-AWP is a full-service Advanced Work Packaging service provider based in Alberta, Canada. We have a common vision of project excellence where industry professionals enable construction through the organized flow of information, tools, and materials. Our goal is to keep raising the bar on the standard for World Class project execution through the continued success of our clients. 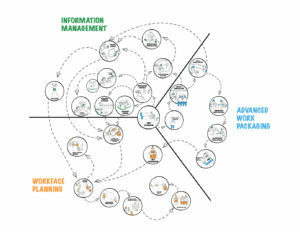 Where did Advanced Work Packaging come from?